Blanch the asparagus for a few minutes in boiling water so there are just cooked. Cool them quickly in ice-cold water to keep their green colour. 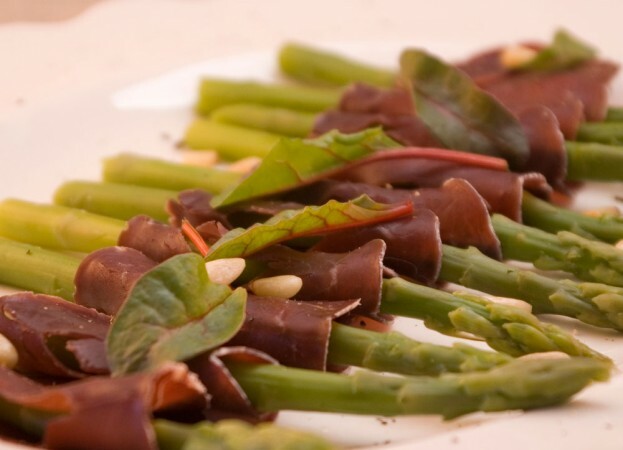 Spread a little of the pate or cream cheese on a slice of smoked venison and wrap around the asparagus.